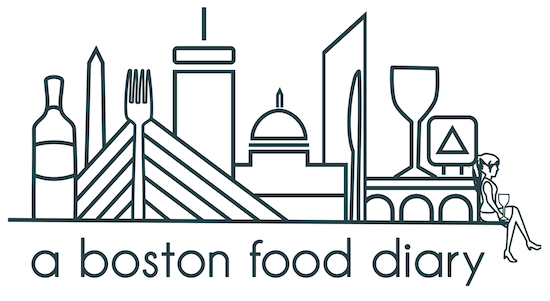 A Boston Food Diary: ScoreBig.com- The BEST Ticket Agency Around! ScoreBig.com- The BEST Ticket Agency Around! As much as there is fantastic food here in Boston there are some amazing concerts, games, and shows to take in between meals. Over the last few years a new ticket sourcing agency has been taking the city by storm. 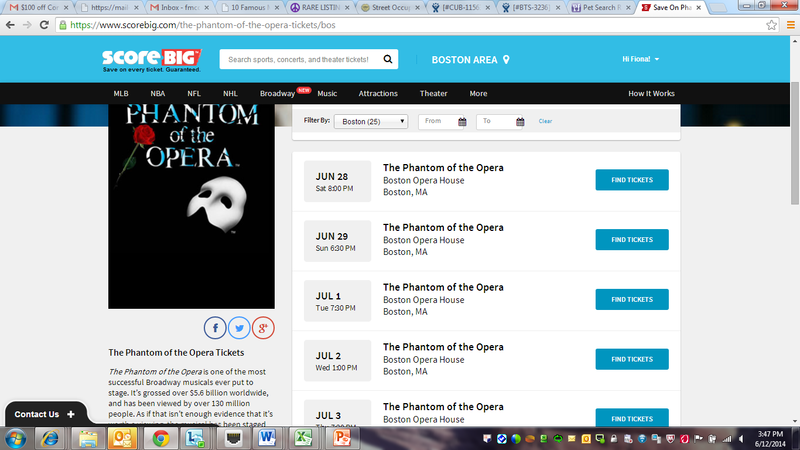 ScoreBig.com isn't your generic ticketing agency. Here you name your price for the tickets you want, allowing you to get steep discounts on some of the hottest seats in town! The system couldn't be simpler, and the whole thing takes just a couple of minutes! First off- browse their incredible selection of available events. Itching to cheer on those champion Red Sox? They've got seats to almost every game! How about that Justin Timberlake concert coming up? Or maybe one of those amazing Broadway style productions that we are blessed to have visit us? Yeah- they can help you out with that. your seat level. 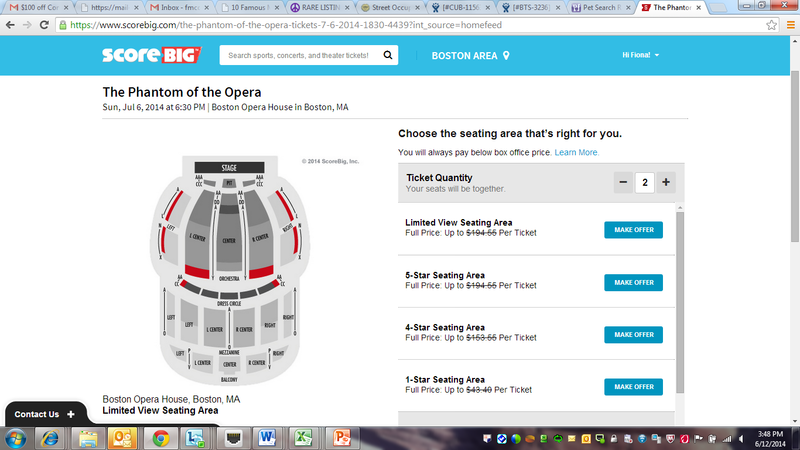 All of their tickets fall into different levels of seats/prices and their handy dandy tool will show you which area the levels fall into. Pick which is best for you and then name your price! 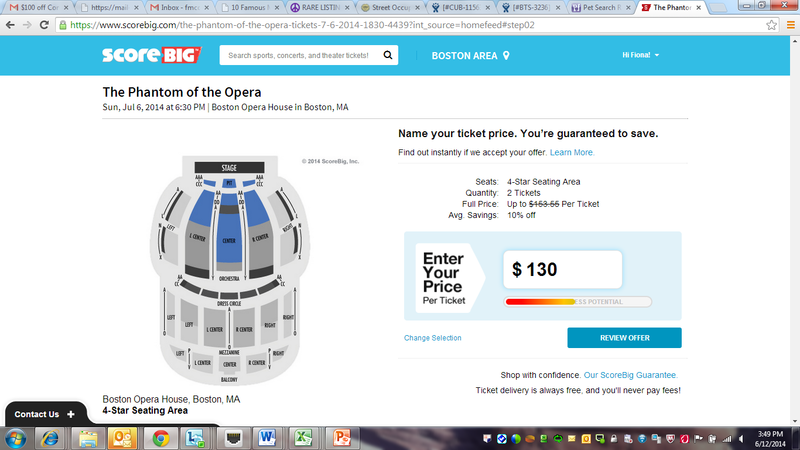 The system will show you how likely it is that you will get your tickets for the named price by a red to green slider. Click accept and within a couple of minutes you will know what kind of a discount you get! Tickets are inclusive of taxes and shipping, and so just a few days later they will arrive and you will be on your way! ScoreBig has become my favorite way to purchase tickets to any event- super easy and I feel like Im playing a game looking for the best bargain- what could be better?? Next time you're looking for tickets to any event- check them out! City Wine Tours, and Their New Ambassador!